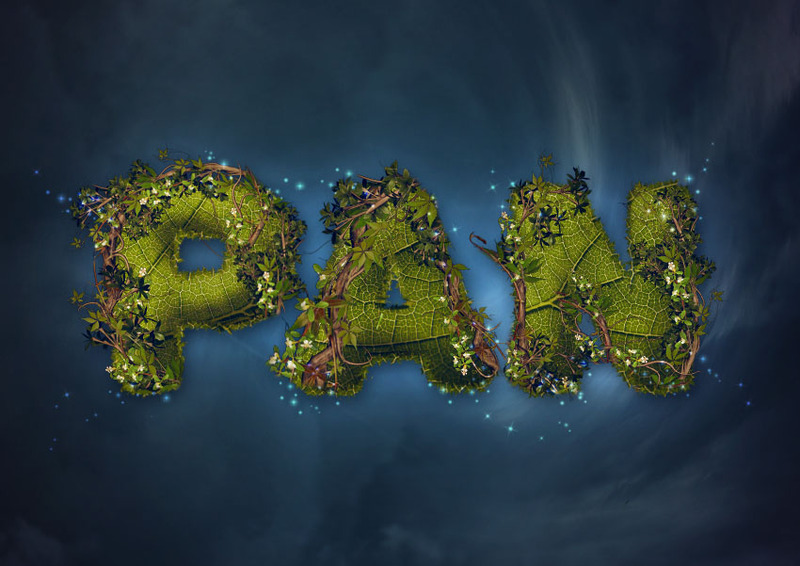 “All the world is made of faith, and trust, and pixie dust.” In this tutorial, we’re taking our text to Neverland, using some textures and images, along with layer styles and adjustment layers, to create a fantasy themed, Peter Pan inspired text effect. Let’s get started! 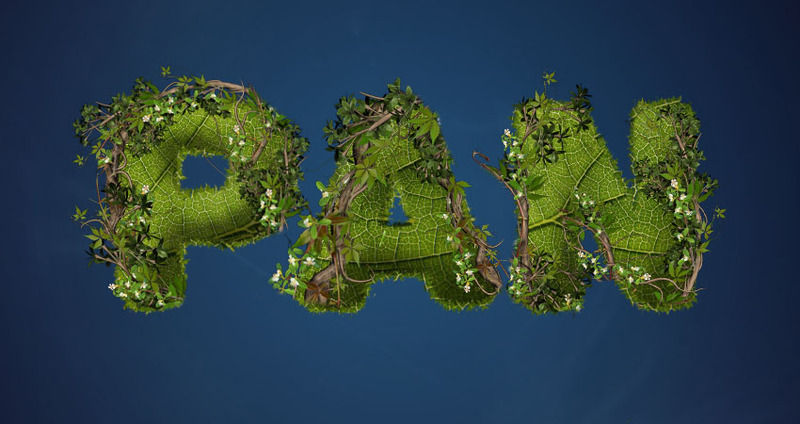 This text effect was inspired by the many Layer Styles available on Envato Market. 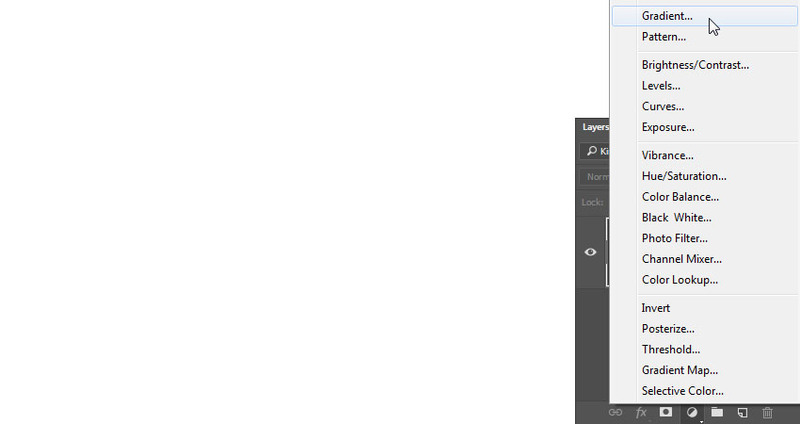 Create a new 1000 x 850 px document. 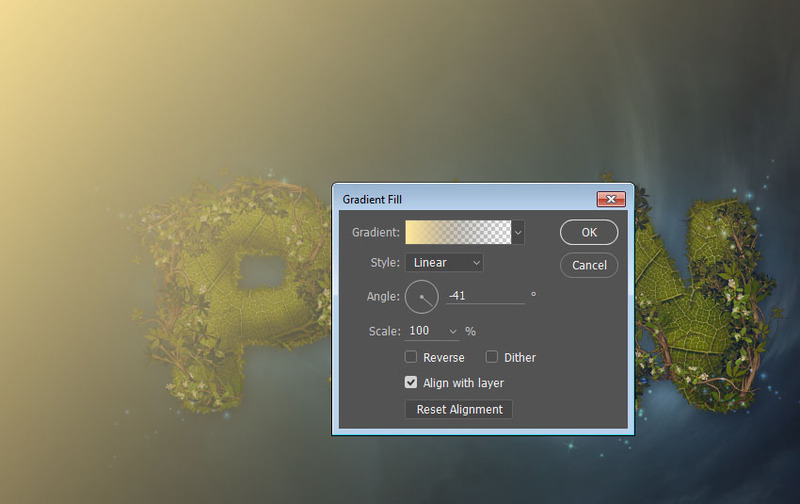 Click the Create new fill or adjustment layer icon at the bottom of the Layers panel, and choose Gradient. 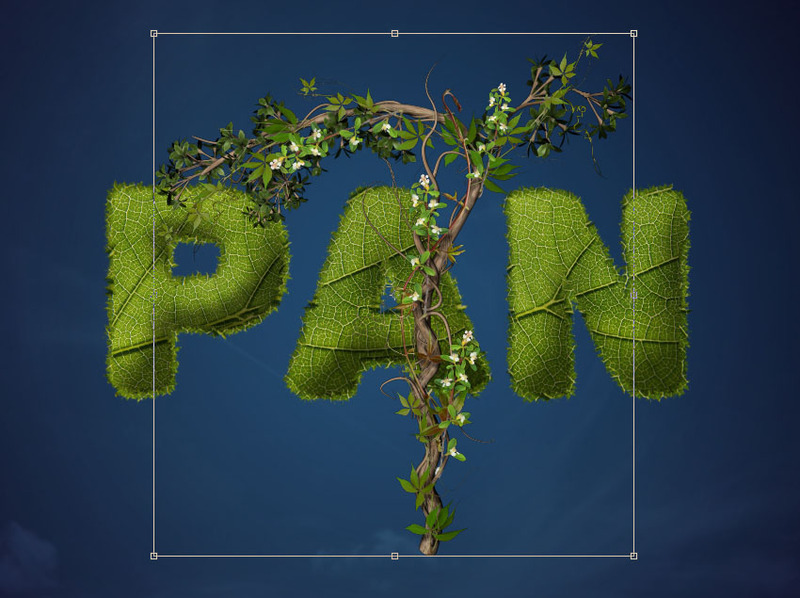 Create a gradient fill using the colors #1c466c to the left and #0a0314 to the right, set the Style to Radial, change the Scale to 170%, and check the Dither box. Place the Bright Sky 1 image on top of the Gradient layer, and then resize it and position it as needed. 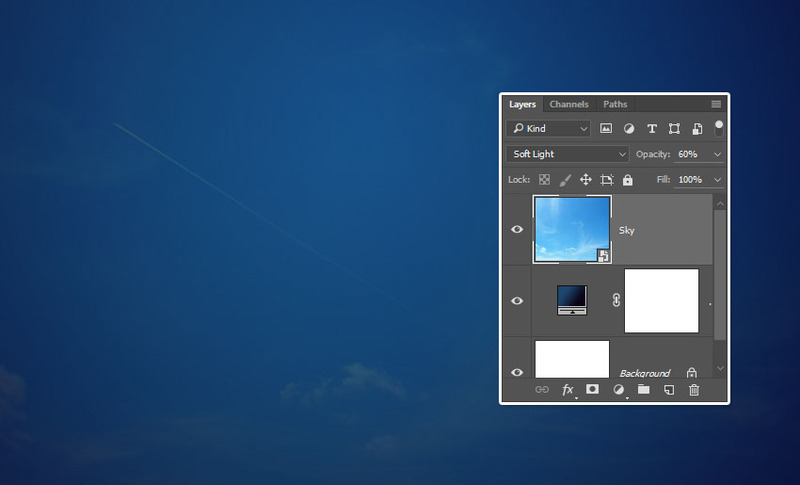 Rename the image’s layer to Sky, and change its Blend Mode to Soft Light and its Opacity to 60%. 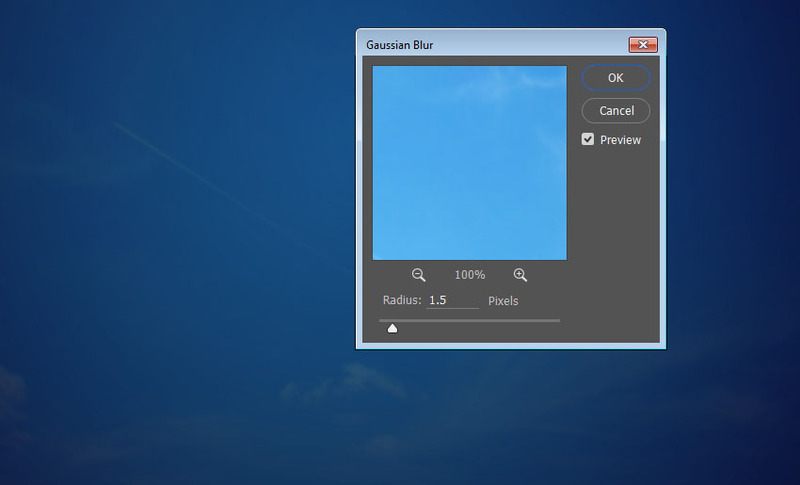 Go to Filter > Blur > Gaussian Blur, and set the Radius to 1.5. 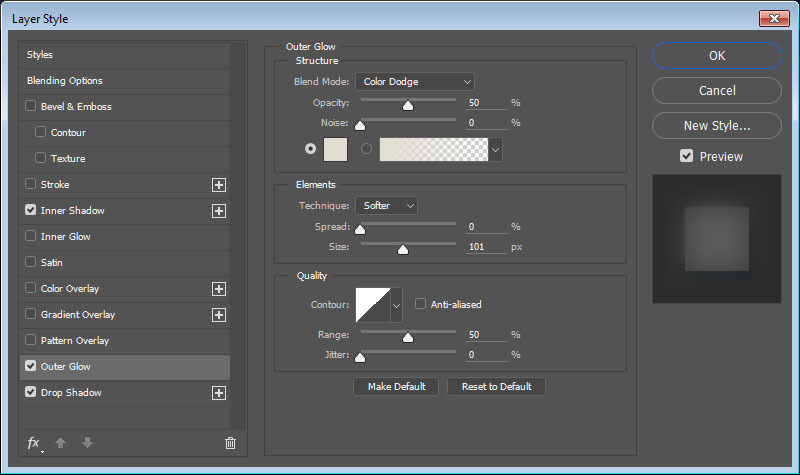 Add a Hue/Saturation adjustment layer, click the Clip to layer icon, and then change the Saturation to -100 and the Lightness to -3. 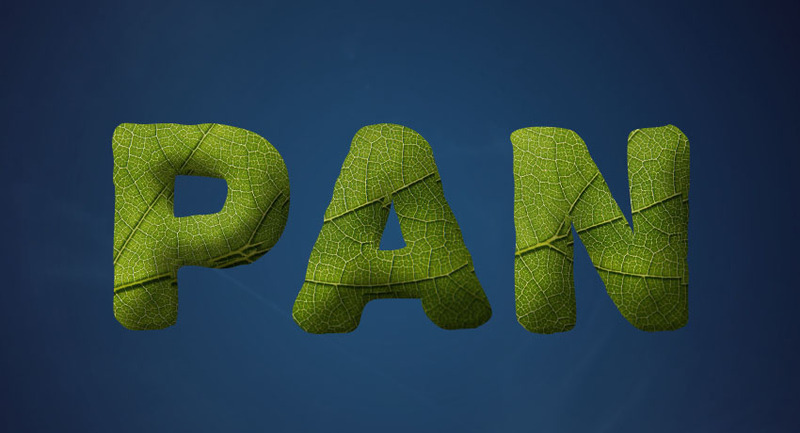 Create the text using the font Propaganda. Set the Size to 265 pt and the Tracking to 50. 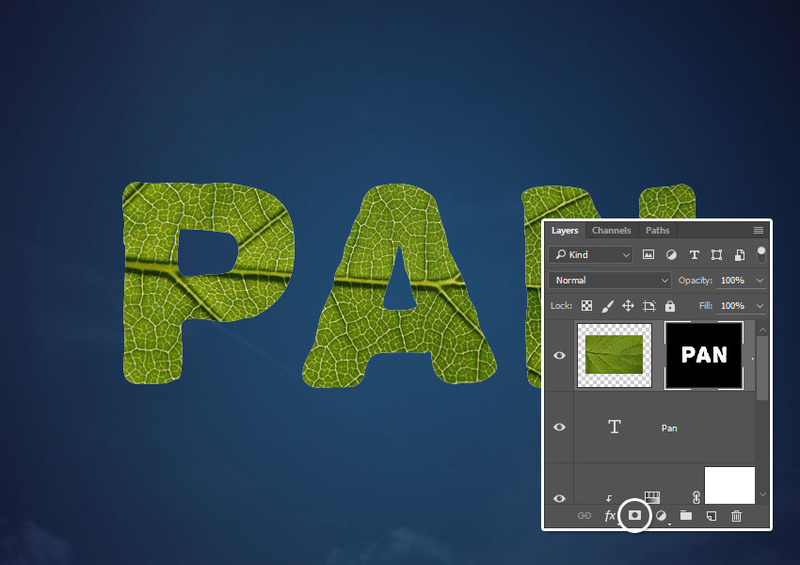 Place the OTF_Macro_Leaf_19 image on top of the text layer, and resize it based on the size of the details you like. 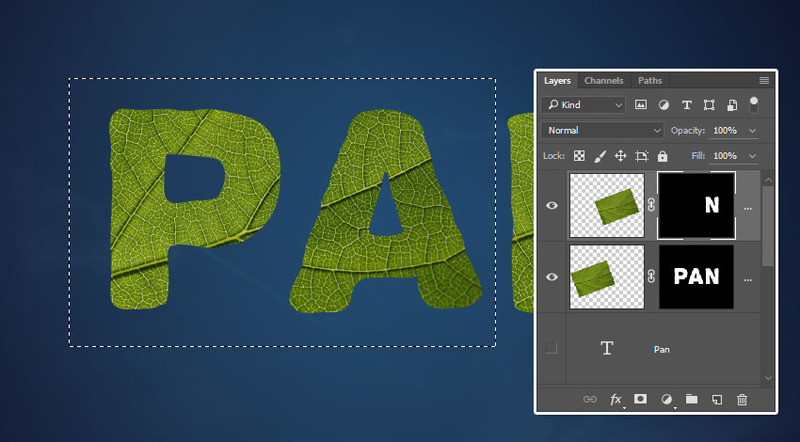 Command-click the text layer’s thumbnail to create a selection. 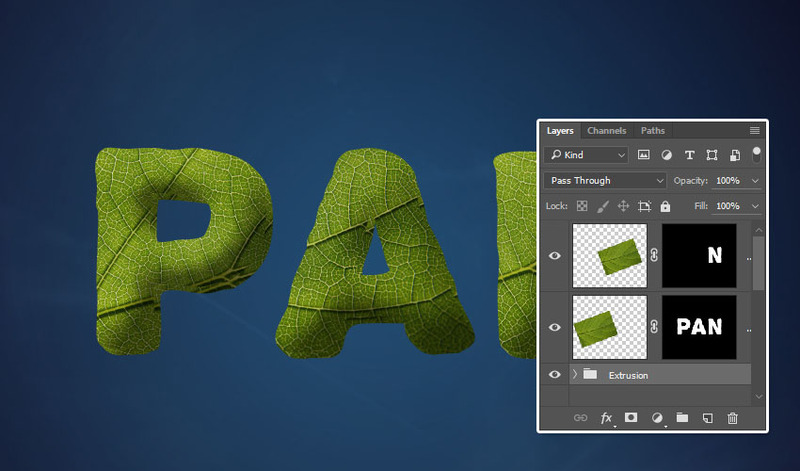 With the leaf layer selected, click the Add layer mask icon at the bottom of the Layers panel to create a mask. 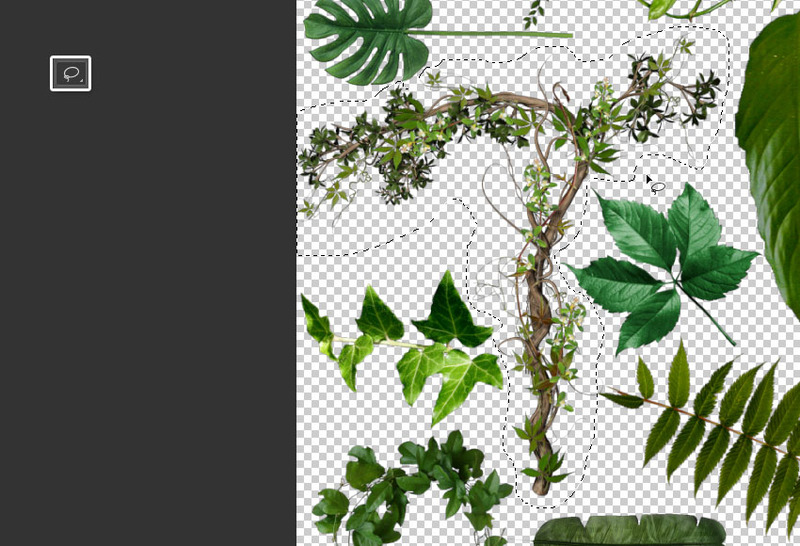 You can click the chain icon between the layer and mask thumbnails to move the leaf texture separately inside the mask. 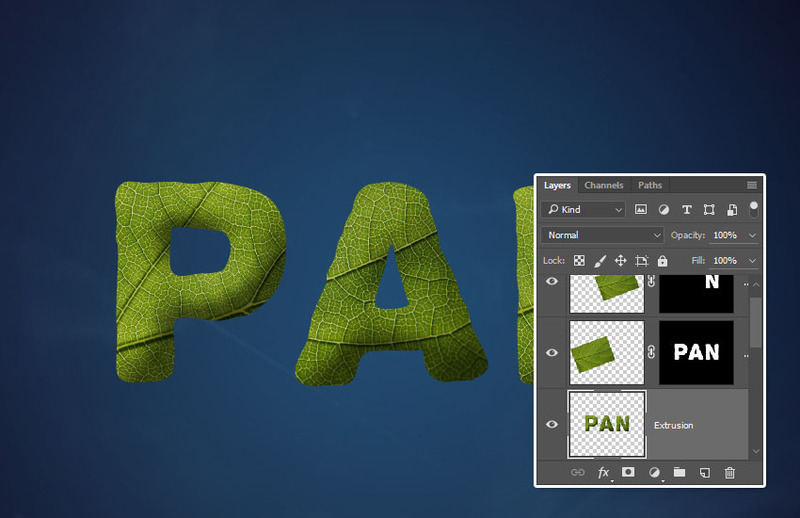 If you need to apply (repeat) the same part of the texture to more letters, duplicate the leaf layer, and use any selection tool to select the letters you don’t want to apply the texture to. 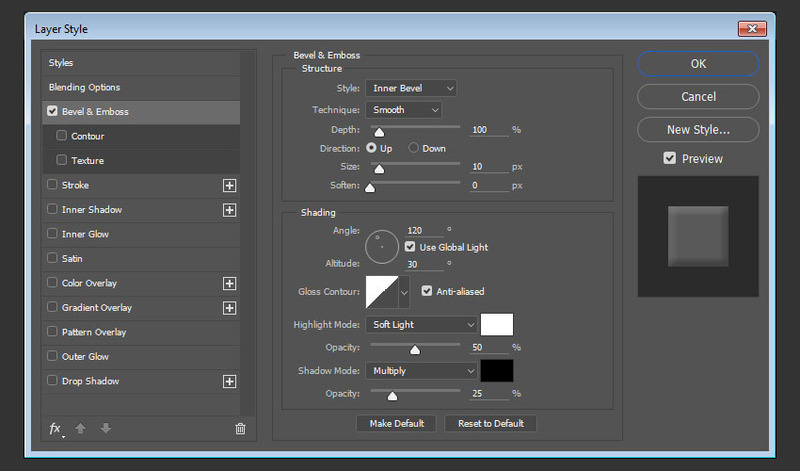 Then, make sure that the mask’s thumbnail is selected, and fill the selection with Black to mask the selection. Remember to unlink the mask to move the texture inside it, and then link it again when you’re done to move it along with the texture. 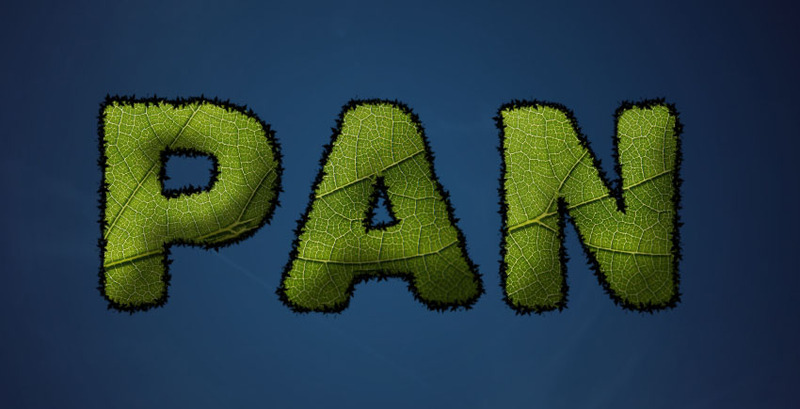 Just make sure to cover all the text with the leaf texture, and then make the original text layer invisible. 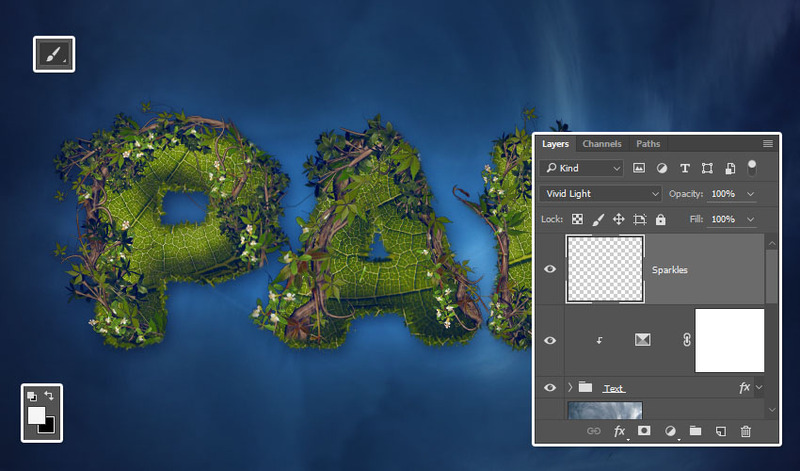 Right-click the styled layer, and choose Copy Layer Style .Then select all the other leaf layers you have, right-click any of them, and choose Paste Layer Style. 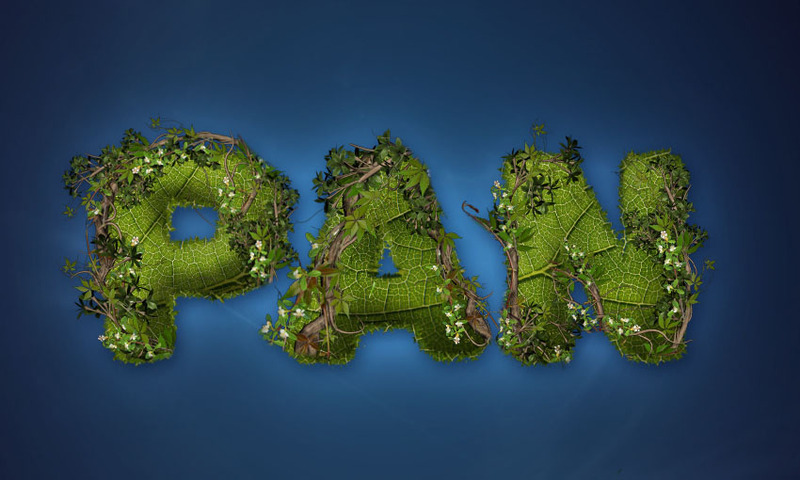 This will add some dimension to the text. 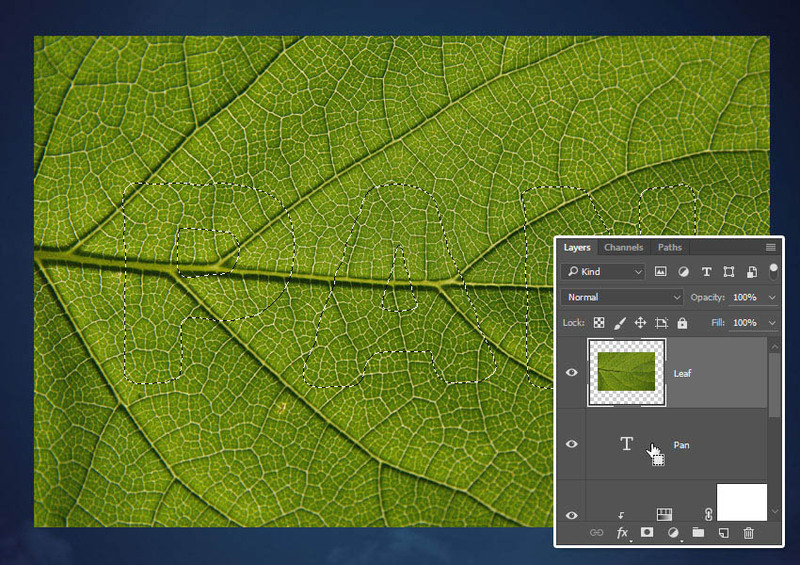 Select all the leaf layers you have, duplicate them, and then press the Command-E keys to merge the copies. 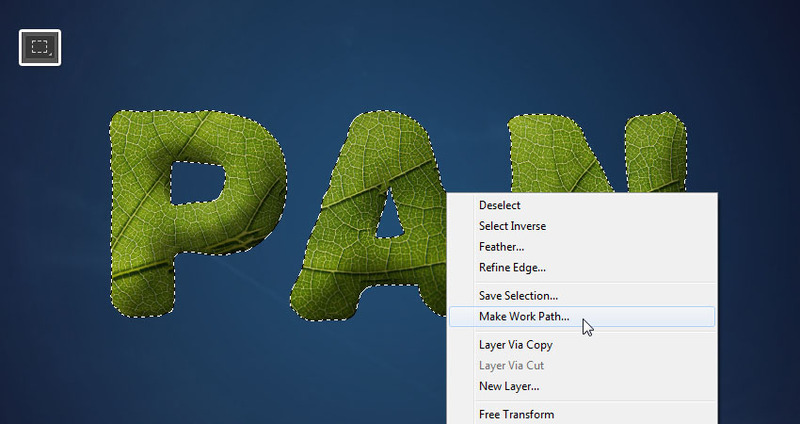 Rename the merged layer to Extrusion, and place it below all the leaf layers. Press Command-T to enter Free Transform Mode. Then hit the Down Arrow Key once, and the Right Arrow Key once as well, to move the extrusion 1 px downwards and 1 px to the right. Hit the Return key to accept the changes. Press the Option-Command-Shift-T keys six times to create six copies with the same transformation. Place all the extrusion layers in a group and call it Extrusion. This will give the extrusion some dimension. 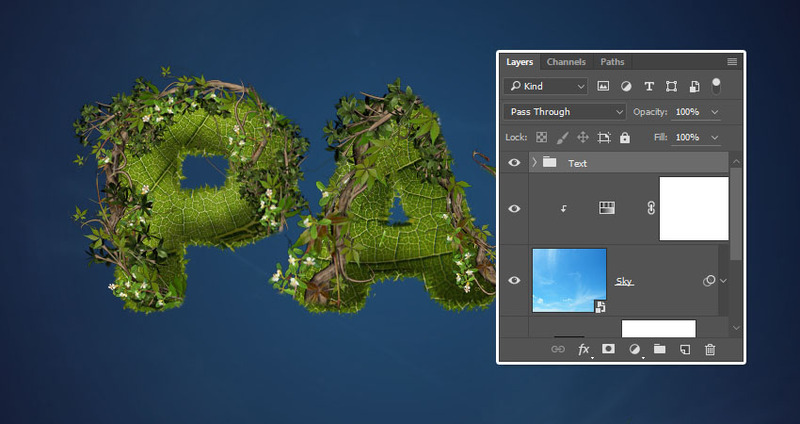 Command-click the text layer’s thumbnail, press and hold the Shift key to add to the selection, and Command-click the last Extrusion copy layer’s thumbnail. Pick any selection tool, and then right-click the selection you have, and choose Make Work Path. Set the Tolerance value to 1.0, and click OK. This will convert the selection into a work path. 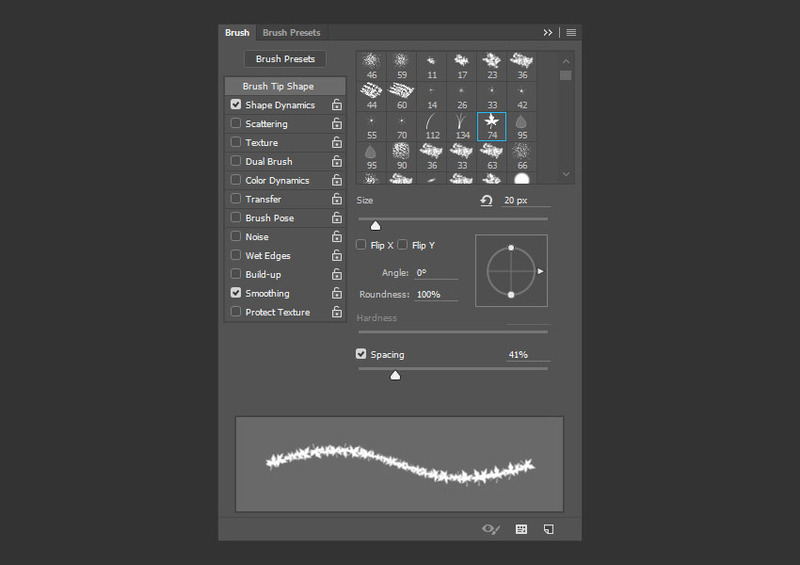 Create a new layer on top of all layers, name it Stroke, and then pick the Brush Tool. 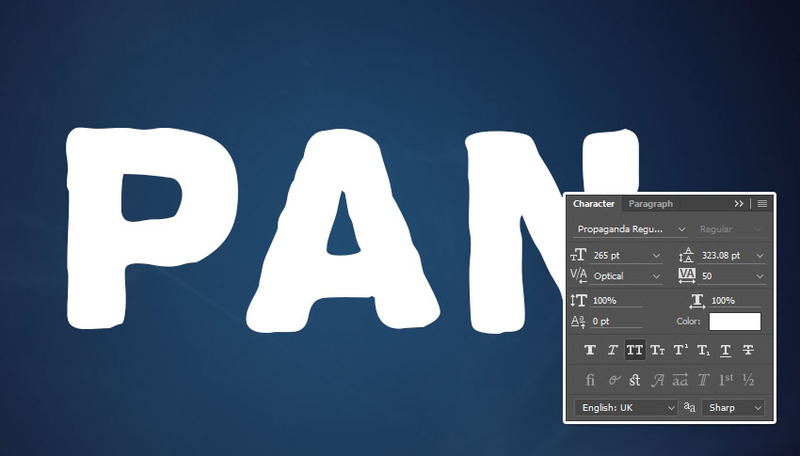 Hit the Return key to stroke the path with the modified brush tip. Press A to get the Direct Selection Tool, and then hit Return one more time to get rid of the work path. 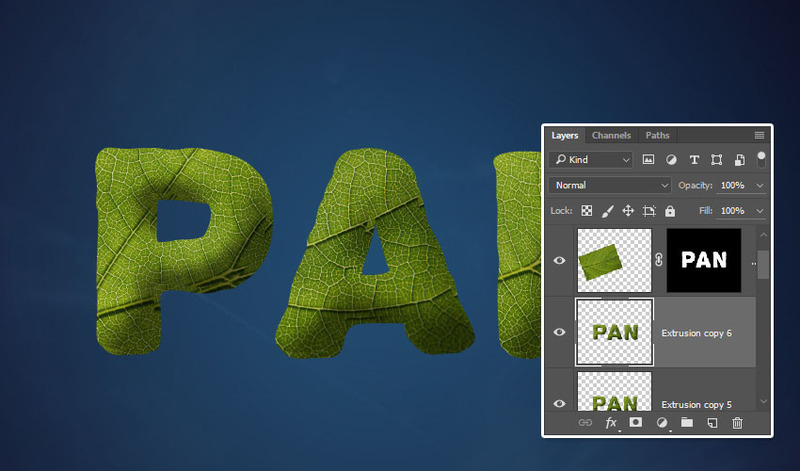 Place another copy of the leaf texture on top of the Stroke layer, and name its layer Stroke Texture. 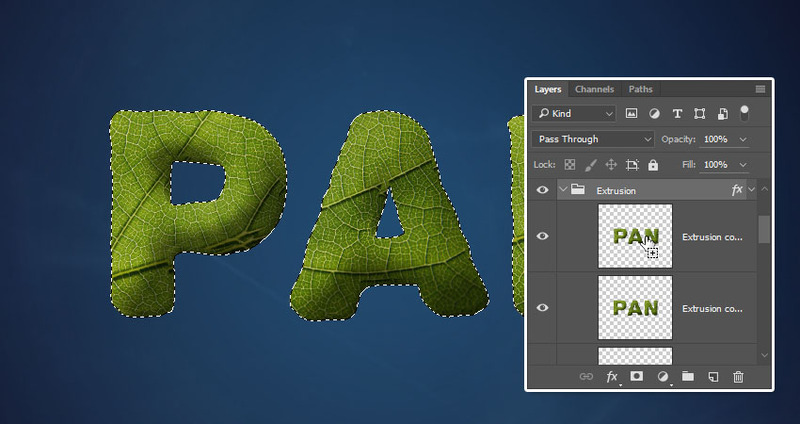 Right-click the Stroke Texture layer and choose Create Clipping Mask to clip the texture to the stroke. This will darken the edges a little bit. 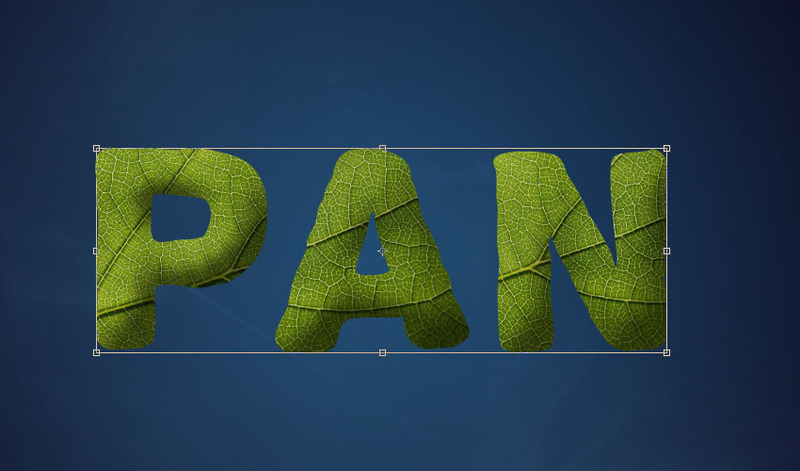 Open the Branches and leaves resource image, use the Lasso Tool to select the part below, and go to Edit > Copy. Go back to the original document, and then go to Edit > Paste (Command-V). 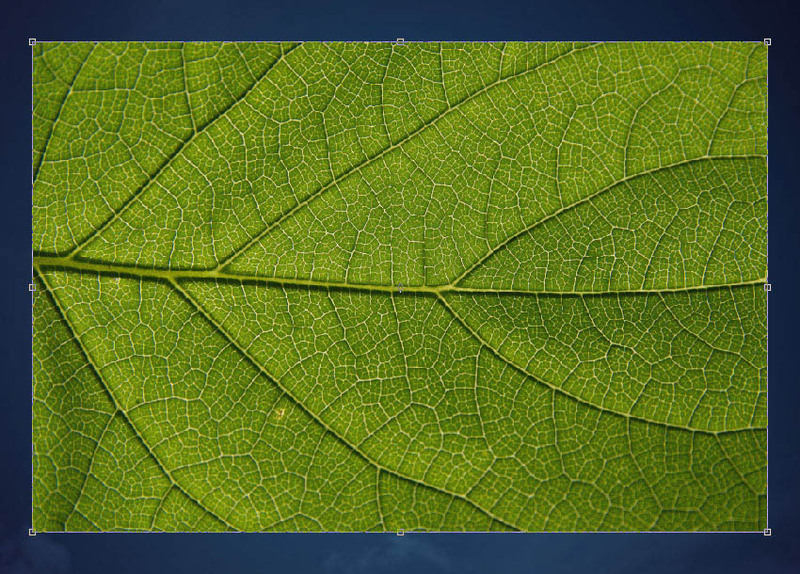 Press Command-T, and then resize, rotate, and position the pasted image as you like on top of the text. While the Free Transform Mode is still active, you can also right-click to access more options, like the Flip options, if needed. Hit Return to accept the changes made. 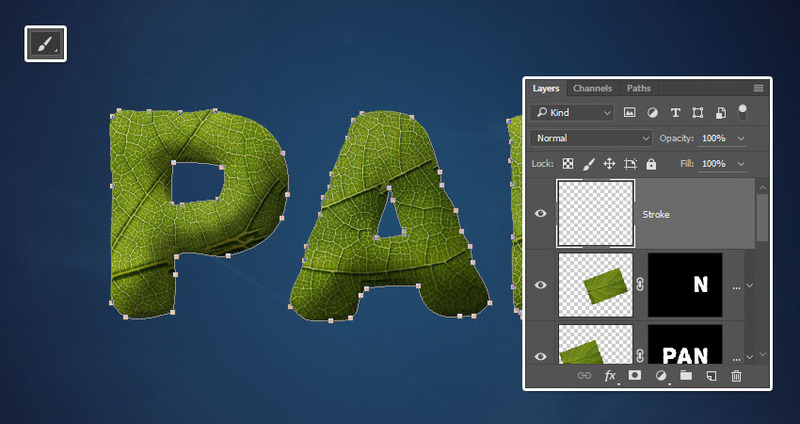 You can use the Eraser Tool (E) to remove any unwanted parts of the branch. 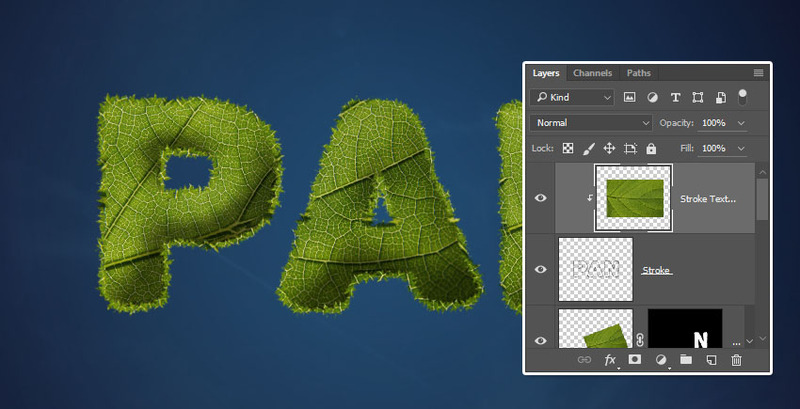 Paste another copy of the image, transform it, and repeat that until you cover the text with vines and branches. Group the vines and branches layers in a group and call it Vines. Group all the layers you have, except for the background layers, and call the group Text. 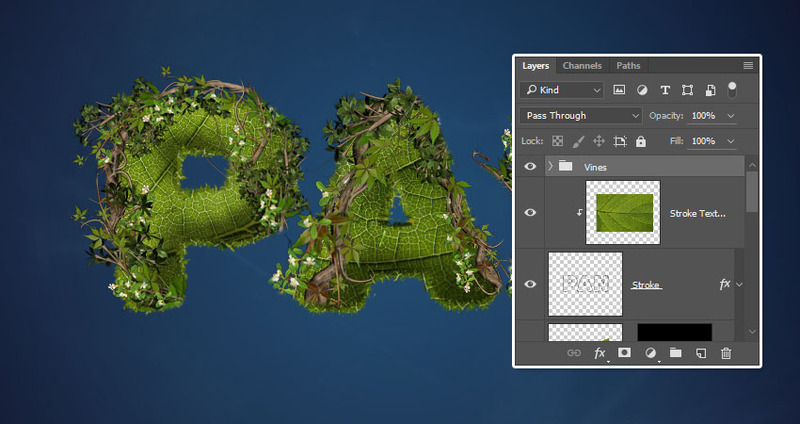 This will style the text. 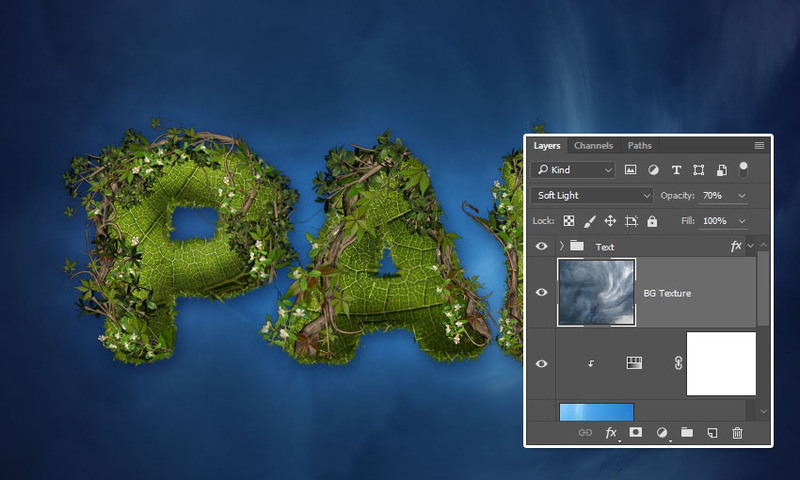 Place the Storm Brewing stock image below the Text group, and rename its layer to BG Texture. 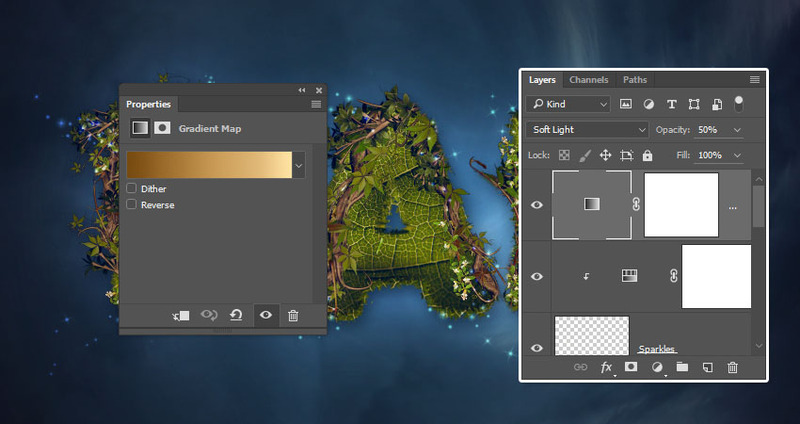 Change the BG Texture layer’s Blend Mode to Soft Light and its Opacity to 70%. 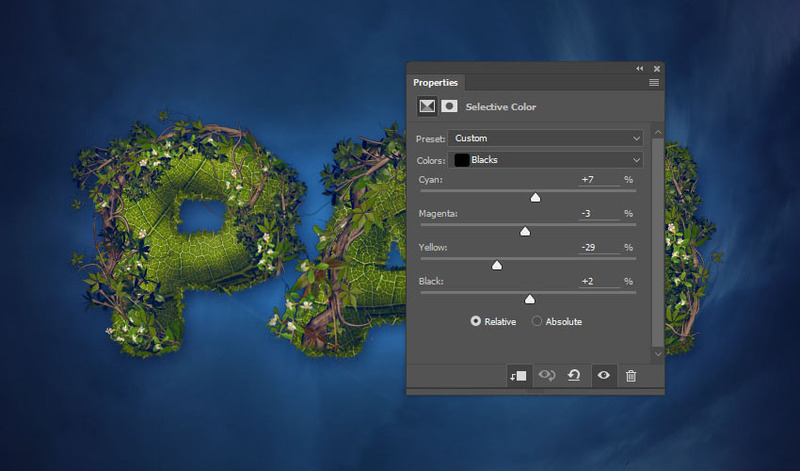 Add a Selective Color adjustment layer on top of the Text group, and clip it to it. 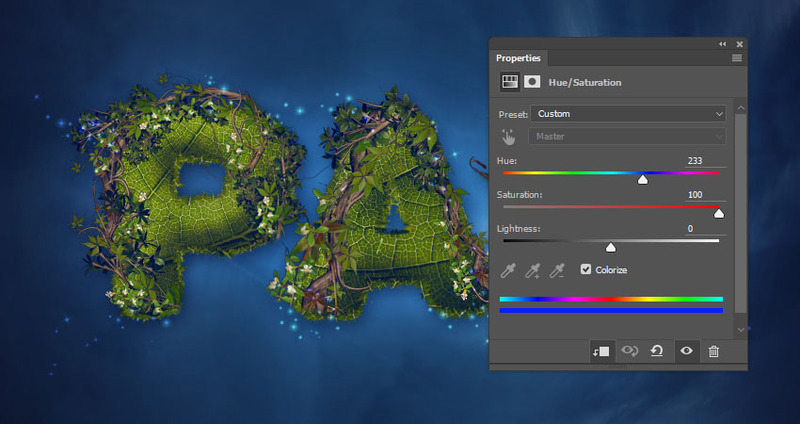 Create a new layer on top of all layers, call it Sparkles, and change its Blend Mode to Vivid Light. 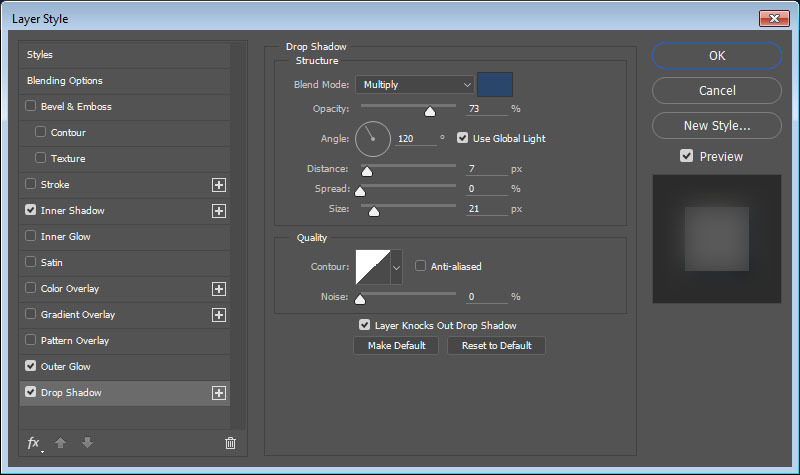 Pick the Brush Tool and set the Foreground Color to #fcf5d7. 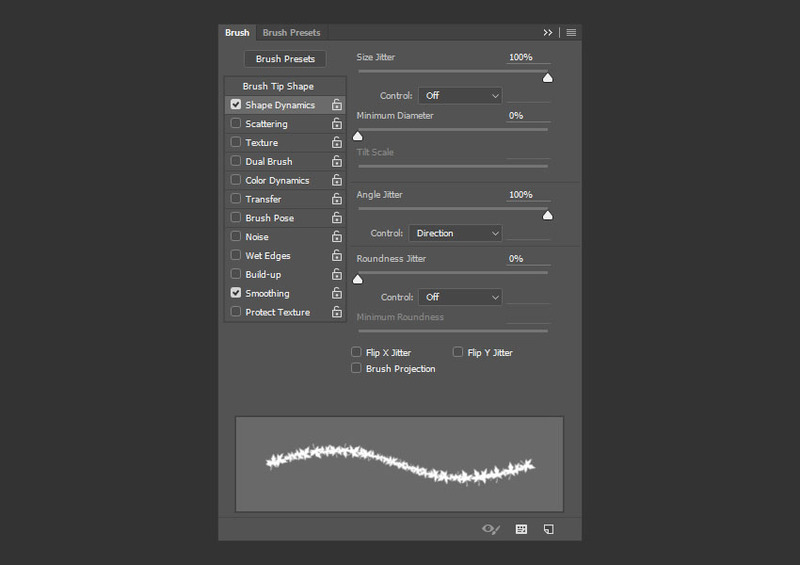 Choose any brush tip you like from the Chic Sparkles brushes, and then modify its settings in the Brush panel, like the Spacing and the Shape Dynamics. 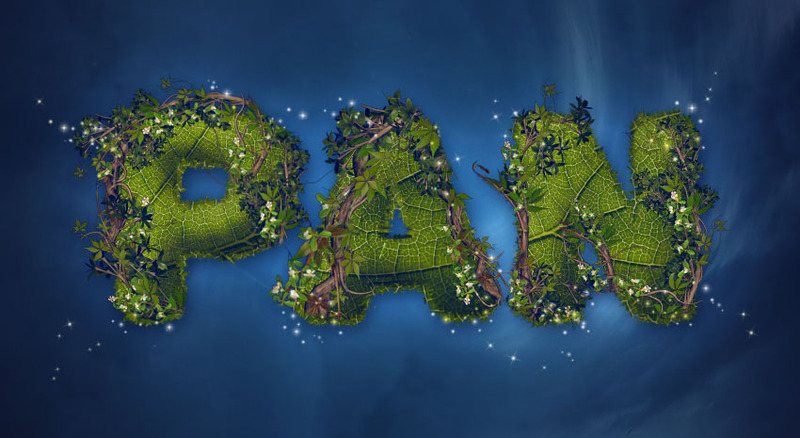 Then, click-drag slightly to add some sparkles all around the text. 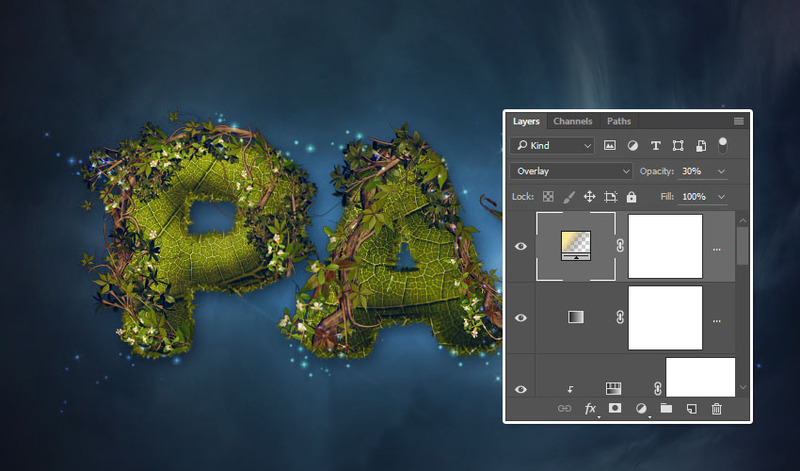 Add a Hue/Saturation adjustment layer, and clip it to the Sparkles layer. 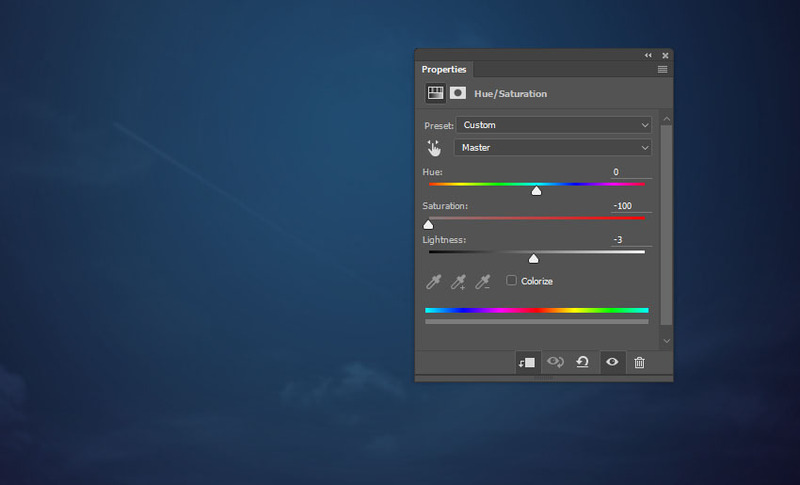 Check the Colorize box, and then change the Hue to 233, and the Saturation to 100. 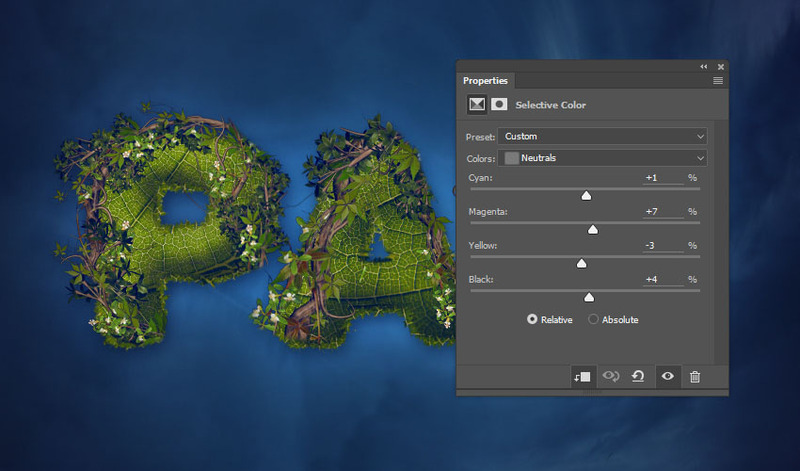 Add a Gradient Map adjustment layer on top of all layers, change its Blend Mode to Soft Light and its Opacity to 50%, and click the gradient box to create the gradient fill. 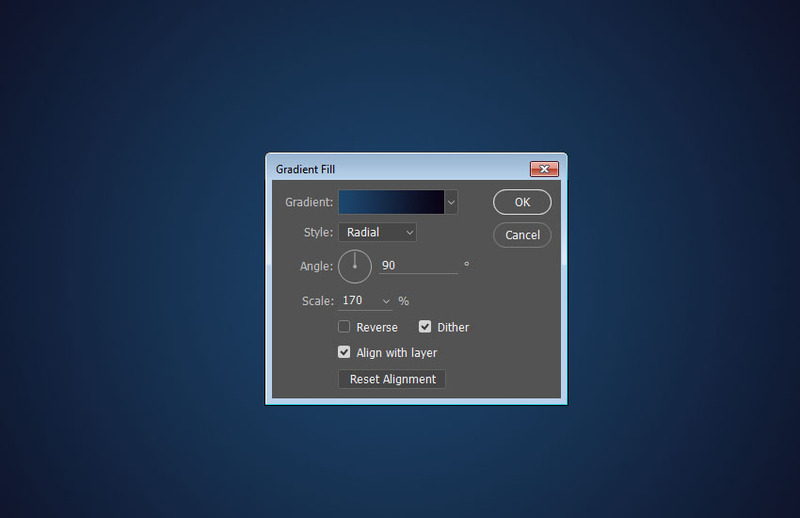 Add a Gradient adjustment layer on top of all layers. Create a Fill Color to Transparent gradient fill using the colors #ffe79d to the left and #000000 to the right, and change the Angle to -41. 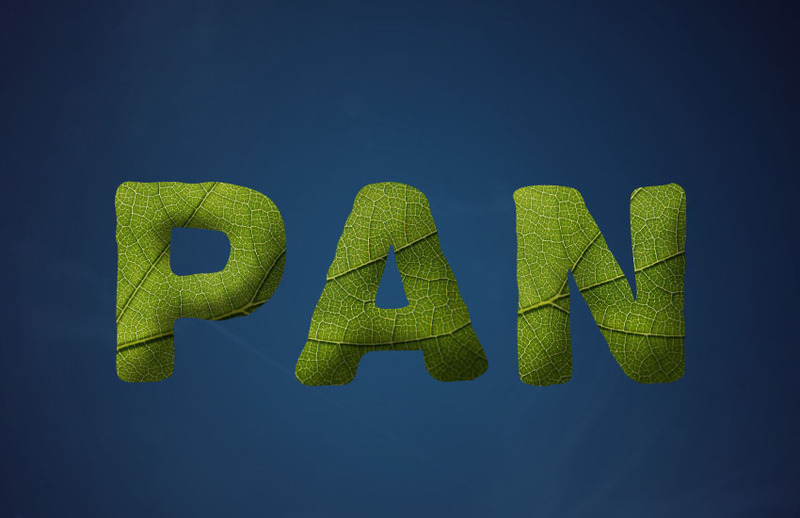 Change the Gradient layer’s Blend Mode to Overlay and its Opacity to 30%. 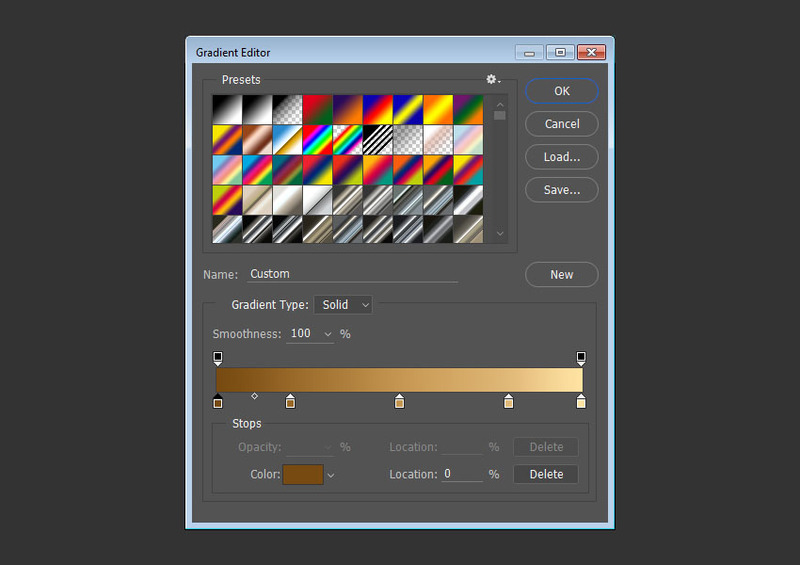 This will adjust the coloring of the final result, and add a nice yellow tone to the corner. 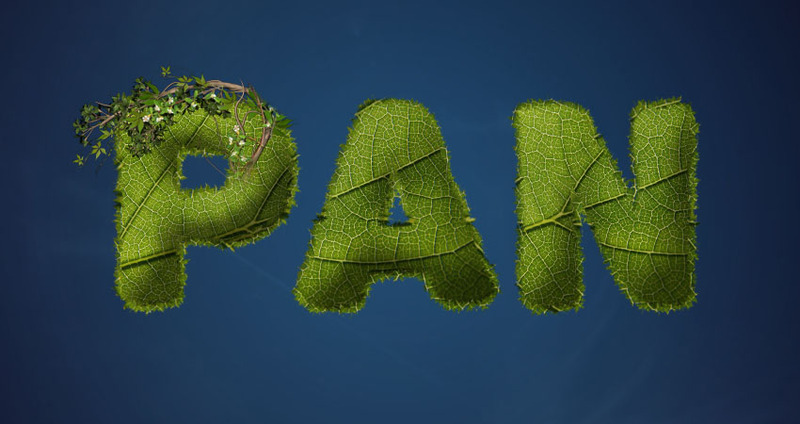 In this tutorial, we created a simple background using a gradient fill and some textures. 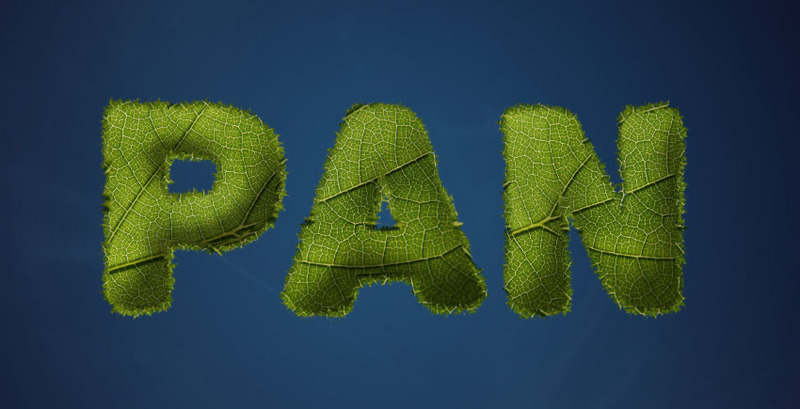 Then, we created the text and its extrusion, styled them, and added the leaf texture and a couple of branches to both. After that, we added more styling for the shadow and glow effects, as well as some sparkles. 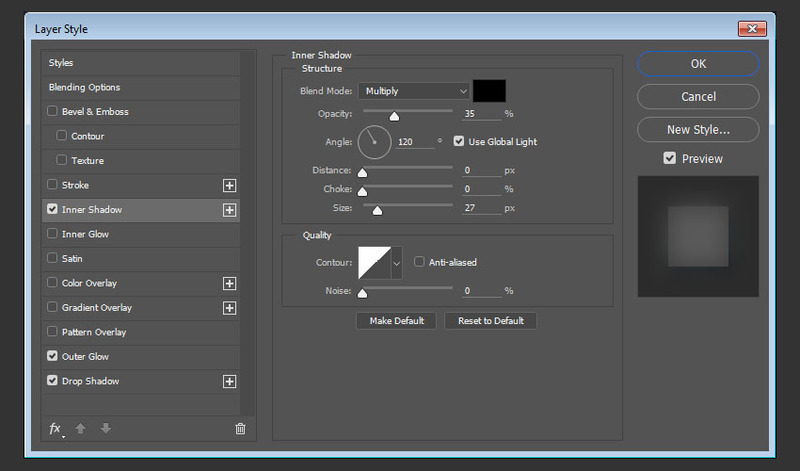 Finally, we added some adjustment layers to modify the coloring and lighting of the final result.